Wow, writing that title I realized what a big thing those little words mean. Knowing the best way to organize your week and get your time in order is a daunting task and one that has taken me years to master. The first recorded calendars have been found from the Bronze Age (anywhere from 3300–1200 BC). It seems that as soon as people started writing they were compelled to get a handle on their time! The next big innovation in calendars was designed by Julius Cesar (the Julian Calendar) which introduced leap year as a way to “fix” a little bit wonky system. And finally we come to the calendar system that we use today, the Gregorian Calendar. Super interesting note, it was just 1923 when the last country, Greece, adopted the calendar we use today. Having grown up in the United States, I never knew that there was any other way to calendar than to start on Sunday and work your way over to Saturday. EVERY calendar I ever saw as a child or young adult used that system of ordering the days. Both Christian and Hebrew calendars used Sunday as the first day of the week. The word “Sunday” translated from ancient texts means “first”. In the Christian faith, Sunday is designated as a day of rest. According to what I have read, many European countries have used a Monday through Sunday calendaring system for ages. Slavic languages have the days ordered from Monday through Sunday, with 4th for Thursday and 5th for Friday. In 1988, with the worldwide adoption of the computer, a system called ISO 8601 was developed to make everything consistent. This allowed computer programmers worldwide to write code that all computers would understand. 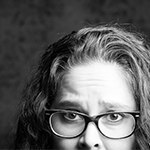 ISO 8601 states that that Monday is the first day of the week. That said, my computer programmer husband from the US said Sunday is first designated by 0, and Monday is 2nd in the United States. 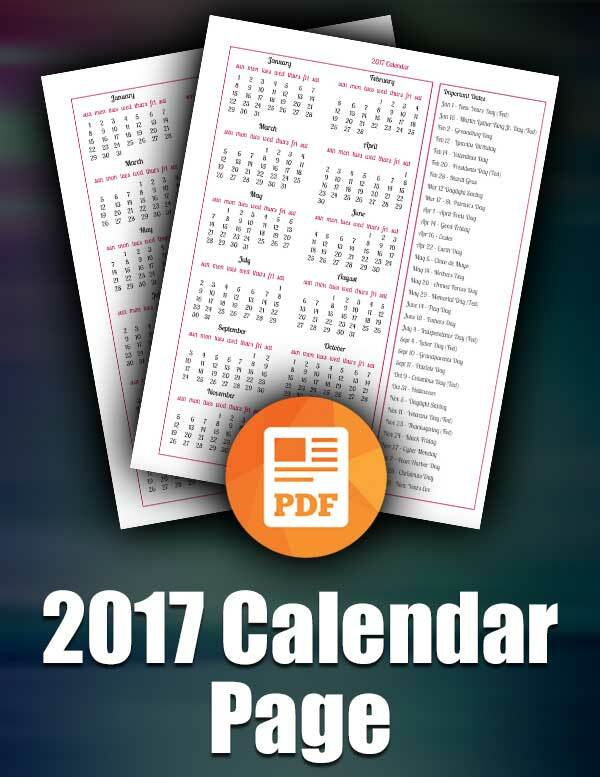 Which Type Of Calendar System To Choose? Here are my thoughts on both kinds of calendars! This is what I used for years and what I was used to. If you are living in the United States it is definitely the “normal” way to go and you will find lots of great options available to you! Most calendars are going to be set up this way and you will probably not have to change your online calendar at all! I have to think that if you are reading a post like this that you are at least thinking about buying or using a Monday through Sunday calendar! There are a couple of things to consider when you are going this route. 1. If you use an online calendar too (I do), check and see if you can make Monday your start date. I had my online calendar running from Sunday to Saturday and my paper calendar Monday to Sunday and it almost drove me crazy. Luckily my online calendar let me set Monday as the start date so I am all sinked up now. 2. I LOVE that I have my work week whole and then the weekend days at the end. I started using one of the fancy planners a few years back and they did it this way. Since then I have switched to liking DIY Business Planners that I can super customize to what I want, but this carried over for me! 3. Last but not least for me is that I can now find more Monday through Sunday resources. For example, I just made a year at a glance annual calendar so my dates are sinked that way too. Before I really started finding resources that are in this format I struggled a bit to keep all those numbers straight in my head! So there you have it! 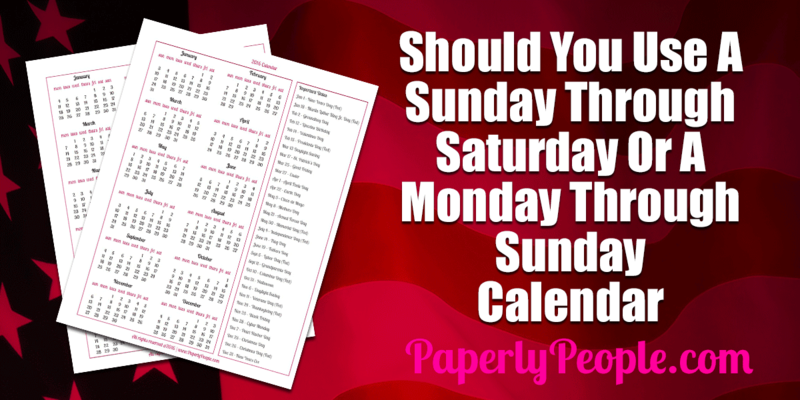 All my best advice about using choosing either a Monday through Sunday or Sunday through Saturday calendar…please drop me a line to let me know what your preference is and why! Whether you are a Monday through Sunday or Sunday through Saturday kind of planner, I have the calendar for you! Here is a year at a glance, 2016 Calendar including US Holidays and dates. 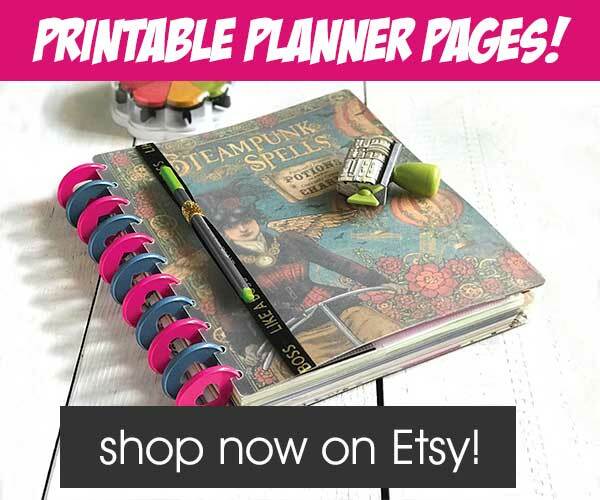 This planner page is printable on 8.5X11″ paper and is perfect for popping into your ARC planner or 3 ring binder!